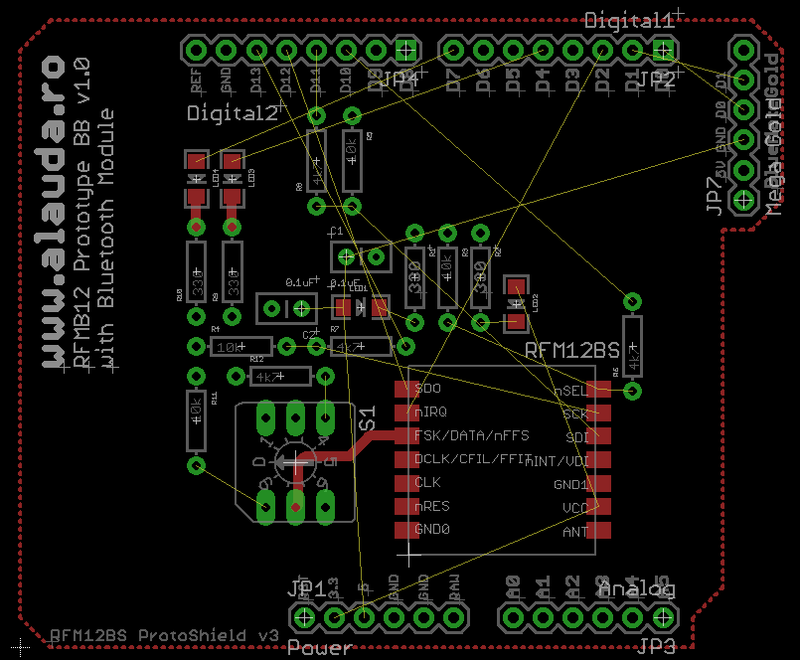 Today I started to complete the design of the RF12B Breakout Board for various prototyping. For my Arduino lessons I needed to add WordPress support for Arduino syntax highlighting. A custom brush for SyntaxHighlighter plugin that would format and color my Arduino syntax similar to the application (see here an example). This is what I did. I took some steps in learning the capabilities of Arduino Platforms. Below is the code of my Bluetooth-enabled temperature reader with OS X integration.